Muammar Gaddafi seized power in Libya in 1969 by overthrowing King Idris I in a bloodless military coup. He abolished the monarchy and proclaimed a republic. In 1977, the country was officially named the Great Socialist People's Libyan Arab Jamahiriya. Gaddafi established a totalitarian, arbitrary and brutal regime. During over 40 years in power, he invented his own system of government, isolated the country from the West, and supported numerous radical armed groups in different countries across the world. Gaddafi's regime was overthrown during the Libyan Civil War that started in February 2011 in the city of Benghazi. On October 20, Muammar Gaddafi was captured and killed in the city of Sirte, and the fighting came to an end. Three days later, Libyans celebrated the defeat of loyalist forces and the fall of Gaddafi's regime. 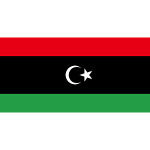 October 23 was designated as a national holiday in 2011, right after the Libyan Arab Jamahiriya fell and was replaced by the State of Libya. Libyan Liberation Day is celebrated nationwide with solemn ceremonies and other celebratory events.